When is a CIS not a CIS? 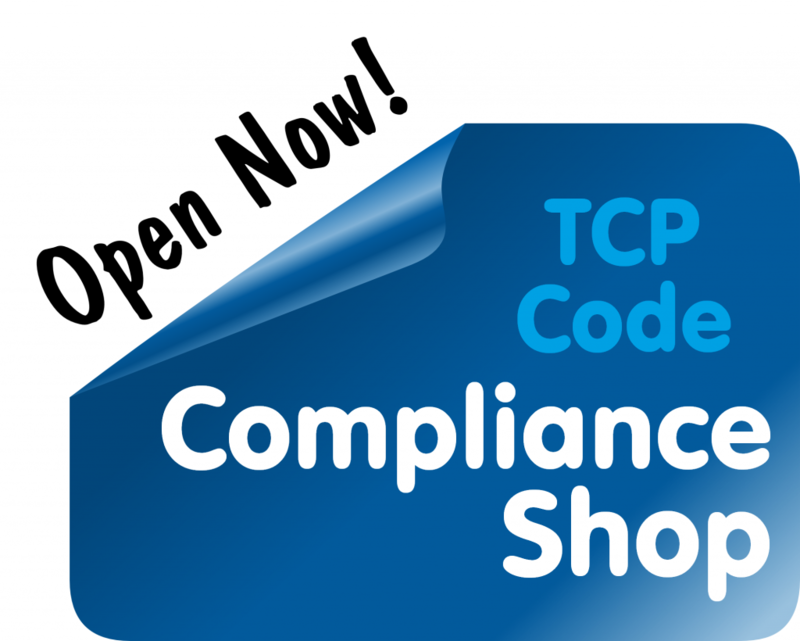 Answer: When it doesn’t follow the rules in the TCP Code. The Code sets out detailed rules about the form and contents of a Critical Information Summary, and you can’t just type ‘Critical Information Summary’ at the top of a page to deliver a valid CIS. Here’s an example of a document that has the correct heading, but badly fails to measure up to the TCP Code’s CIS requirements. Service Description – the [Telco] NBN Co services are for a data connection to be provided on the UNID port at the nominated speed, either 12M down/1M up, 25M down/5M up, 50M down/ 20M up or 100M down/ 40M up (please note speeds are indicative & may vary) with an optional telephone service provided over the UNIV port. Bundling – Data Service is available without telephone service. Telephoen service requires a Data Service. Mandatory Hardware – NBN Co equipment to be provided by NBN Co – currently at no cost (Note – NBN Co may charge where installation of equipement is desired in NBN Co non-preferred location on your premises). You will require a computer (with Ethernet or Wireless connection depending on your Local Area network, to connect to the data service. You will require a standard Telephone handset to use optional telephone service. Minimum Monthly Charge – the minimum monthly charge varies from plan to plan, and depends on the plan you choose. Pricing shown on this website reflects the minimum monthly charge for each plan. Plans shown with telephone services do not include telephone calls. Maximum Monthly Charge – the maximum monthly charge varies from plan to plan, and depends on the plan you choose. Pricing shown on this website reflects the maximum monthly charge for each plan. As there are no excess data usage charges, plans are shaped when data limit is reached, the data plan prices are also the maximum monthly charge. 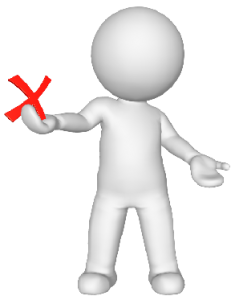 Plans shown with telephone services do not include telephone calls, & it is not possible to estimate the calls you may make on your telephone service. Maximum Charge payable for Early Termination 12 Month Contract – If you cancel your service during the 1st month the maximum charge for the service is calculated as follows: The plan fee for 1 month (data & telephone) plus $99 Activation fee plus any telephone calls (chargeable) plus $15 plus ($15 times the number of month remaining of the contract (in this case 11)). Maximum Charge payable for Early Termination 24 Month Contract – If you cancel your service during the 1st month the maximum charge for the service is calculated as follows: The plan fee for 1 month (data & telephone) plus any telephone calls (chargeable) plus $15 plus ($15 times the number of month remaining of the contract (in this case 23)). The cost of making a 2 minute Standard National Mobile Call (including flagfall) – Essentials Phone plan = 54 cents, PLUS & PLUS OS Phone plan = 44 cents, OS Plus Mobile Calls Phone Plan = no charge. What’s the fundamental problem with the document? The best way to understand the problem is to understand what a Critical Information Summary is designed to be used for: A potential customer should be able to look at the CIS and understand the features and costs of a particular product. If Consumer Kimmie is looking for a home broadband service, she can lay out side by side the Critical Information Summaries for several plans that have caught her eye, and use the information in them to assess and rate the options. Summary of Offer: A Supplier must provide a summary of each of its current Offers to allow Consumers to compare Offers provided by each Supplier which best suit their needs. A telco simply can’t address that requirement by saying ‘We have a range of plans at a range of prices, so check out our website for details.’ The CIS we’ve quoted above is useless for allowing a consumer to compare the different plans offered by that provider, or to compare that provider’s offers with those of other telcos. The document may be titled Critical Information Summary (as Per The Telecommunications Consumer Protections Code C628:2012) but sticking a Whiskas label on a can of beans doesn’t turn the contents into cat food. Is that the only issue with this CIS? No, but it’s enough on its own to ensure that this attempt at a Critical Information Summary could never have worked. First, you need to read the Telecommunications Consumer Protections Code, particularly clause 4.1.2. 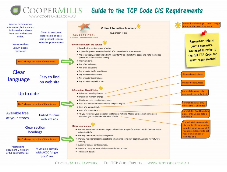 Second, get your copy of TCPCode.com.au’s one page guide to the CIS requirements. It’s the easiest way to master the Code’s requirements in a few minutes. This entry was posted in Advertising, Critical Information Summary, Sales and tagged advertising, CIS, Critical Information Summary, sales. Bookmark the permalink.